Thought that R.E.M. 's breakup would mean that they wouldn't be releasing their annual holiday single for members of their fan club? Think again. As has become their tradition, the band have released a two-song single just in time for Christmas. 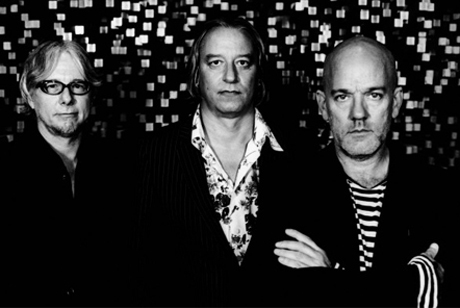 This one doesn't contain any brand new material, as it includes a couple of live versions of classic R.E.M. tracks. Slicing Up Eyeballs notes that the single features "Perfect Circle" from 1983's debut LP Murmur. This live version was recorded in 2008, during the band's final tour. As for the other track, "Life and How to Live It," it originally appeared on 1985's Fables of the Reconstruction, and this live take was captured during R.E.M. 's final show on November 18, 2008. Unfortunately, this will be the last ever holiday single from the beloved band, as their fan club has now been closed. In other words, be sure to savour this.